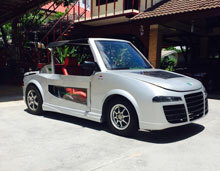 Thai fuel cell car designed with high efficiency powered by hydrogen drive system. 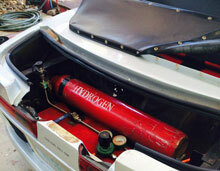 Fuel cell car that is powered by hydrogen-FEMFC. The fuel cell car have clean driving power, without any pollution, saving environment, for comfortable transportation and with more features for your convenience.Easy for maintenance, just charge the battery and check the battery acid level.Turning controlled by steering, make it easier in controlling, More space for driver, without engine, heat and noise. 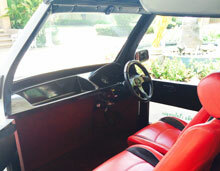 The fuel cell car - clean driving power, without any pollution, saving environment. 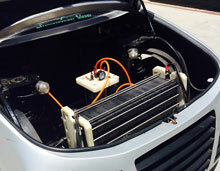 Fuel cell car that is powered by hydrogen-FEMFC.